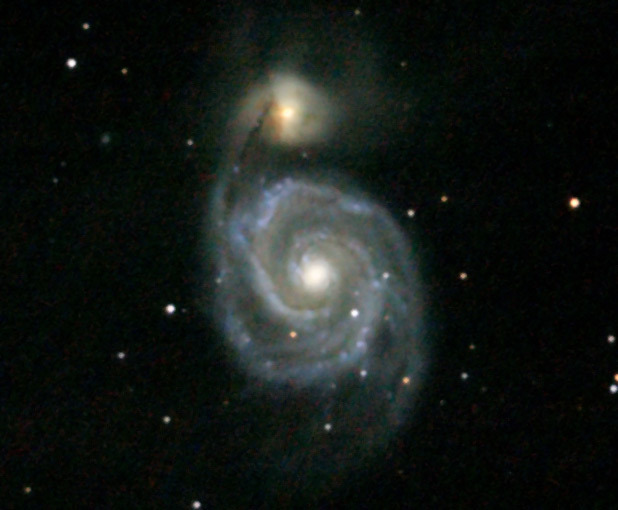 Located 37 million light years away, the Whirlpool Galaxy shows the cosmic encounter of two galaxies. It's a classic case of the big guy picking on the little guy. The large spiral galaxy, NGC 5194, is slowly ripping apart the smaller, barred-spiral galaxy, NGC 5195. Eventually, in millions of years, the two galaxies will completely merge. The areas where they are interacting are full of dense, star forming regions and areas of compressed matter that block the light from the stars behind them. 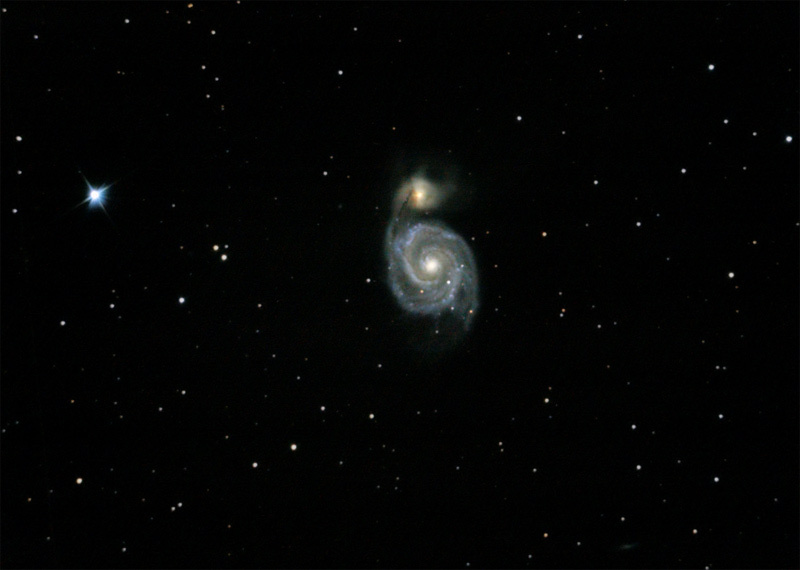 There are several more distance galaxies in the frame, the most notable is NGC 5198 in the lower right and two very small galaxies just to the left and upper left of the smaller node of M51. This is my first photo using autoguiding, a technique where a CCD camera (Celestron NexImage) is attached to a small telescope (Orion Short Tube 80mm) that is mounted on top of my main imaging telescope. This CCD camera focuses on a star and sends control messages to the mount to keep that star centered in the same place. This allows MUCH longer exposures with less trailing of stars and disturbances.